When Does Fertilizing Pasture or Hayland Pay? 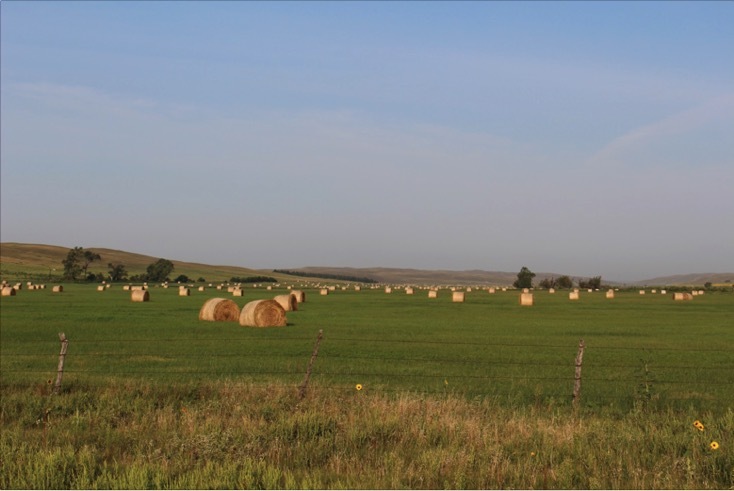 Profit Tip: When Does Fertilizing Pasture or Hayland Pay? On subirrigated meadow that can be grazed or hayed, research has shown that a suggested fertilizer application of 70 lb N, 25 lb P, and 20 lb S per acre results in an average grass increase of about 0.75 tons/acre. If hayed, the economics of this would simply be related to the cost of the fertilizer application and the value of the hay. As one would expect, the greatest returns are when hay values are high and fertilizer costs are low. If $60 per ton is the anticipated hay value, no more than $45 ($60 times the 0.75 ton/acre yield increase) could be spent on the fertilizer application to break even. At $100 per ton hay value, the breakeven for a fertilizer application is $75. Keep in mind that there are risks. The yield response from the fertilizervaries from year to year depending on weather conditions. Additionally, the location within the state and condition and type of grassland will affect yield response. A warm-season mixture, smooth bromegrass, or intermediate wheatgrass may all have somewhat different responses to the fertilizer. To make the most of your fertilizer dollar, manage grazing so more of what you grow actually gets eaten. Subdivide pastures with cross-fences to control when and where your animals graze. Give livestock access to no more than one-fourth of your pasture at a time, preferably less. Graze off about one-half of the growth before moving to another subdivision.